NTR Biopic: SV Ranga Rao Malli Puttaru! Director Krish and Nandamuri Balakrishna are doing everything they can to provide the best output for the biopic of legendary actor turned politician, Nandamuri Taraka Rama Rao. Krish has already roped some star actors like Vidya Balan, Rana Daggubati, Sumanth, Nitya Menen etc for playing vital roles in the movie. But who is going to play the role of SVR is yet to be known. In 'Mahanati' movie, Mohan Babu essayed that role. Though NTR biopic team initially wanted to rope him in, Krish wanted to have a better option. After hunting for a long time, Krish has finally come across a theatre artist who looks similar to the legendary actor SV Ranga Rao. Krish is also planning to get some other theatre artists for vital roles in the film. Rumors are rife that Krish also found someone to play Kantha Rao role as well. 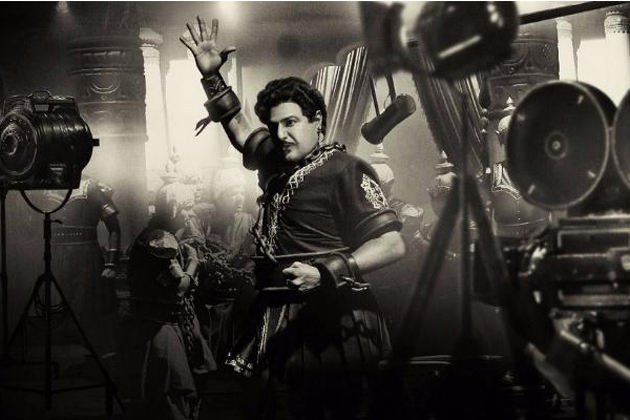 The shooting of NTR biopic is currently taking place in Ramoji Film City. NBK Films is bankrolling this high-budget film. Taxiwaala AT&T Buy 1, Get 1 this Tuesday & Free ATOM Ticket offer! !